Click Here to Sign Up for a Free Kabbalah Introductory Course – Starts Soon! In Together Forever, the author tells us that if we are patient and endure the trials we encounter along our life’s path, we will become stronger, braver, and wiser. Instead of growing weaker, we will learn to create our own magic and our own wonders as only a magician can. In this warm, tender tale, Michael Laitman shares with children and parents alike some of the gems and charms of the spiritual world. The wisdom of Kabbalah is filled with spellbinding stories. 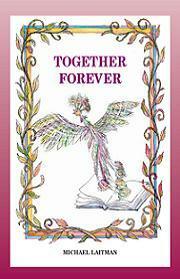 Together Forever is yet another gift from this ageless source of wisdom, whose lessons make our lives richer, easier, and far more fulfilling. A Kabbalistic story about a wizard who created life, and the person who can only be satisfied by finding the wizard who created him. Puppet show by the Bnei Baruch Theater Dept. The Omnipotent Wizard Who Could Not Be Alone: A Tale for Grownups is Rav Laitman’s story about a wizard who created all life and a person within it, and a person’s search for happiness within the world the wizard created.